APLD-CA MEMBERS MAKE NEWS WITH THEIR CONTRIBUTIONS TO LANDSCAPE DESIGN. Photo courtesy of Jude Parkinson-Morgan, Jude Parkinson-Morgan Photography. Click HERE to view this article in full. The homeowner was a self proclaimed francophile who wanted to have his own boutique vineyard, planted and operated in the classic Provençal manner. This approach meant being highly conscientious of the soil conditions, starting the vines from bare rootstock, not training them along any wires, and being meticulous about the biodynamic approach to nurturing the vines. Maguire Cabernet vineyard. Photo courtesy of Nicholas Walker. Custom raised beds. Photo courtesy of Jackie Seidman. My client is a busy executive who wants a healthy lifestyle but does not have much time for cooking. She does however love to have fresh juice everyday so we came up with the idea of a “Juicing Garden”. I have planted many vegetables, greens and herbs that will provide ample nutrients for a morning glass of juice. These raised beds are right outside the patio which makes them so convenient to harvest. This 1 acre property has edibles tucked in every corner. It is the perfect example of growing vegetables and herbs in raised beds and in the traditional landscape as well. There is always something to harvest. Photo courtesy of Jackie Seidman. Photo courtesy of Falling Waters Landscape Inc. This project was a full house and landscape renovation. We were brought in as the landscape designer and contractor to blend the proposed farmhouse style of the architecture with the landscape. A few ways we did this was through our hard and soft material choices. Brick, decomposed granite, board-formed concrete, and hints of wood created a soft/natural palate that contrasted with the rich foliage surrounding it. This project is an interesting development of highly customizable estate homes. The idea is that each home-site will have a 'Mainhouse' and then an ancillary unit for family, office, pool-house, in-law suite, etc. Past clients purchased a home and brought FWLI in to renovate the front yard landscape. We created a series of manageable vegetable boxes set between a flagstone patio and a gently sloping orchard filled with grapes, apples, plums and other assorted espaliered fruit trees. Photo courtesy of Sacha McCrae. These lovely clients wanted a clean and modern farmhouse style garden to be cohesive with the architecture of their home. They were also looking for edibles and an additional seating area with a fire pit. 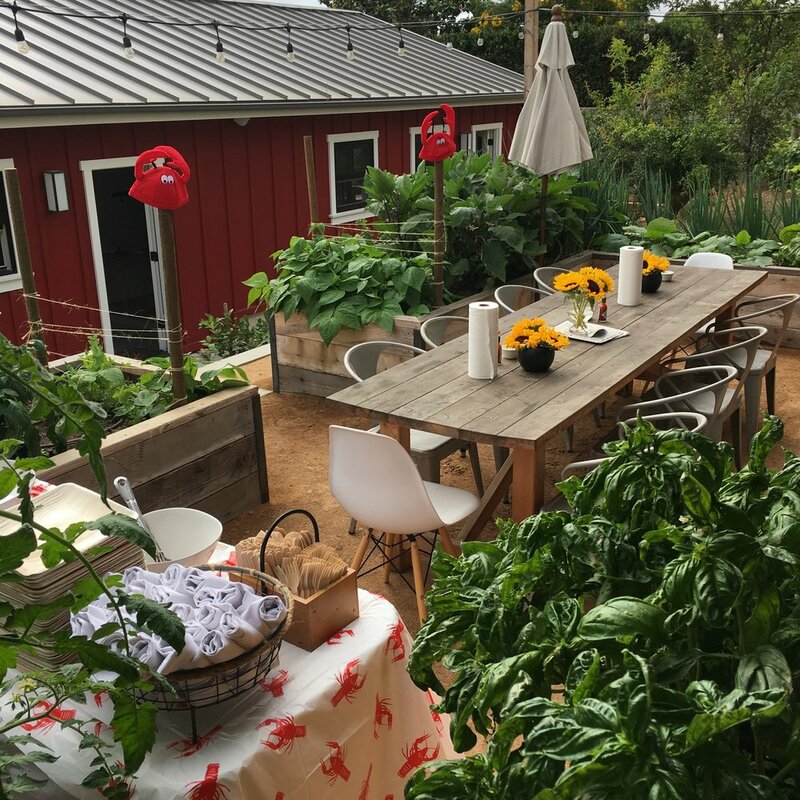 Below we feature two gardens designed by APLD members Joel Lichtenwalter and Kate Stickley, who both collaborated with edible experts Jacky Surber of Urbiflora and the folks at Orchard Keepers. Photo courtesy of Paul Dyer. Photo courtesy of Katrina Coombs. Photo courtesy of Kristan Browne. Eco Urban Gardens of Los Angeles is an educational non-profit serving local communities in the San Gabriel Valley and Los Angeles area. The agency is dedicated to education on nutrition and environmental regeneration through their Farm to School program. The Farm to School classes are taught during school hours as an elective, with an afterschool garden club, and weekend community workshops. Students learn to grow fruits, veggies and build an urban green space supporting regenerative agriculture. Through hands-on learning, the program teaches a holistic approach to sustainability connecting health, social justice, and environmental restoration. In 2017, Eco Urban Gardens partnered with City of Hope and built an urban farm with over 25 raised beds, installed fruits trees, and built an outdoor kitchen to prepare healthy meals. 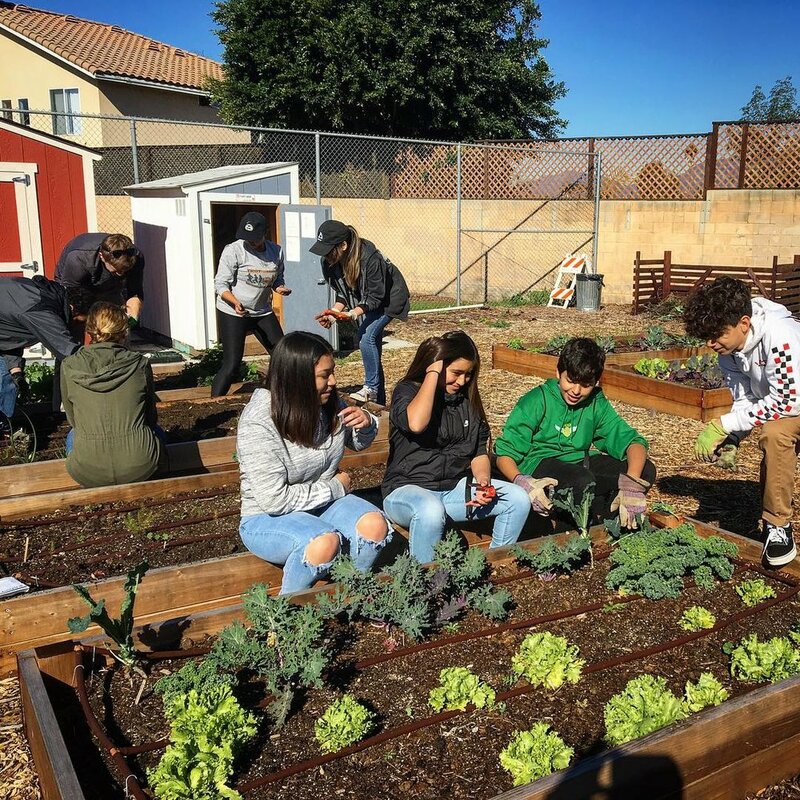 This initiative led to the next phase of creating a Regenerative Learning Garden, which is sponsored by US Green Building Council-LA 2019 Legacy grant. In conjunction with the El Monte Union High School District, the garden will feature California a native wildflower meadow, amphitheater, green-wall, foraging knoll, living labyrinth, bioswale, walking paths, Ecolab and as the centerpiece, a coast live oak tree. An open house event is planned for September 21st, 2019 to showcase all the new installations and present the next phase—the Farm Lab. Please visit www.ecourbangardens.org for more information about volunteer opportunities and to meet the dynamic team of Eco Urban Gardens.